Sensuous Brazilian lips have a secret, a lip butter infused with nourishing Cupuaçu Butter, Açaí Oil, and Coconut Oil, leaving them soft and delicious, with a dewy sheen that intensifies your natural lip color and feels like no other. 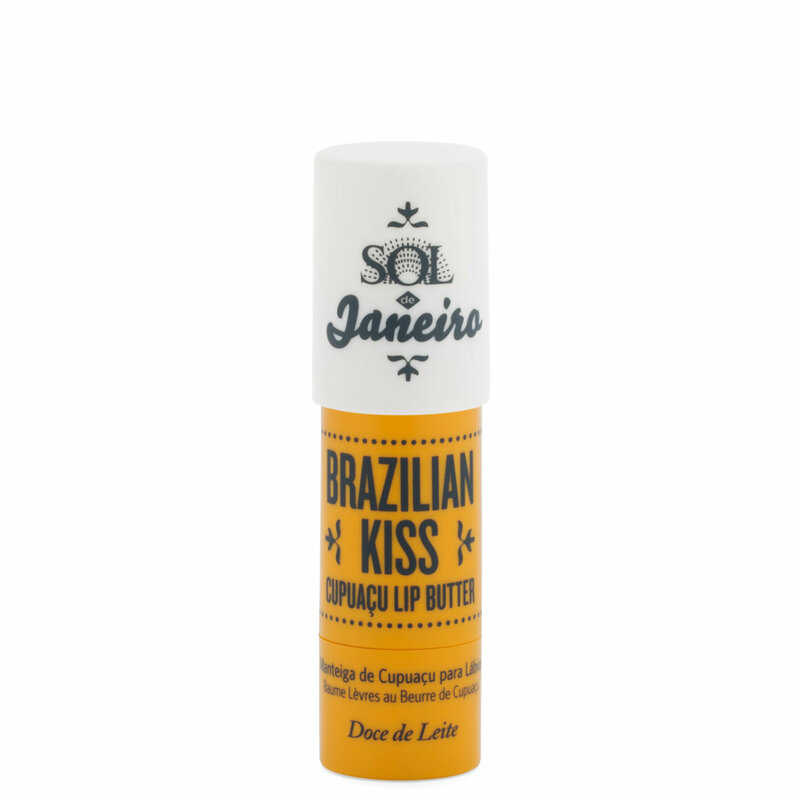 Simply put, Brazilian Kiss Cupuaçu Lip Butter is your shortcut to irresistible, kissable lips. It downright pampers your pout in a single swipe and sets the mood with its irresistibly sweet, Doce de Leite fragrance. And remember- it's a must-have base for smudge-free, moisturized lip color! Apply on lips as frequently as desired. A multi-functional makeup artist favorite. Can be used to soften lips when used with liquid lip stains. Or apply to eyelids or cheekbones, anywhere you want a dewy glow. Cupuaçu Butter: The Amazon’s answer to Shea Butter, Cupuaçu Butter is chock full of fatty-acids, Phytosterols, and Polyphenols to lock in moisture and restore skin’s elasticity. Coconut Oil: This miracle ingredient is all the rage now, but Brazilians have been enjoying their ample supply for centuries. Ultra-nourishing and healing, coconut oil melts quickly into skin to soften, condition and moisturize. 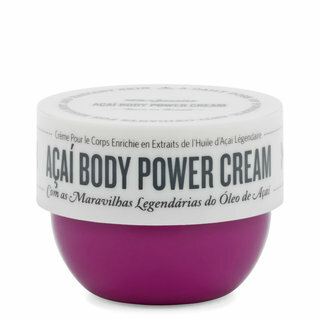 Açaí Oil: An antioxidant-rich super fruit that helps keep skin healthy, vibrant and young. Smells like a dream, but not impressive. This is one of those products that I've heard a lot of good things about , but didn't perform as well as I'd hoped. 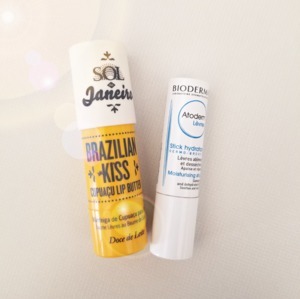 The smell is very nice, tropical and warm, but as far as hydrating my lips? Where is the hydration!? I honestly feel like my trusty ole carmack or plain coconut oil does me more favors than this. Not hating, just wanted to give my personal feedback for whoever was like me & thought they just had to have it. On a lighter note: I do like the packaging (pretty big & nice to look at) and fragrance. Other than that, nothing spectacular. This smells absolutely DELICIOUS! It glides on unbelievably smooth and feels luxurious on the lips. I cannot get enough of this! The only downside is that the packaging of this is extremely bulky, otherwise, it is perfection. I received this in one of their gift sets and ended up using it until it was completely gone! Usually I lose my chapsticks before I ever reach this point, so, for me, the size of this is actually a plus since it made it difficult to be misplaced. As for the actual product? I love it! This is one of the few lip products I was able to use without causing any allergic reactions to my lips/skin. Most lip moisturizing products contain petrolatum, which tend to cause these allergic reactions. Since this is petrolatum-free, I was able to use it as much as I wanted! With that being said, it was so moisturizing, I really only needed to apply 2-3 times a day. AND if you apply this right before you go to bed, you'll wake up with the softest lips.